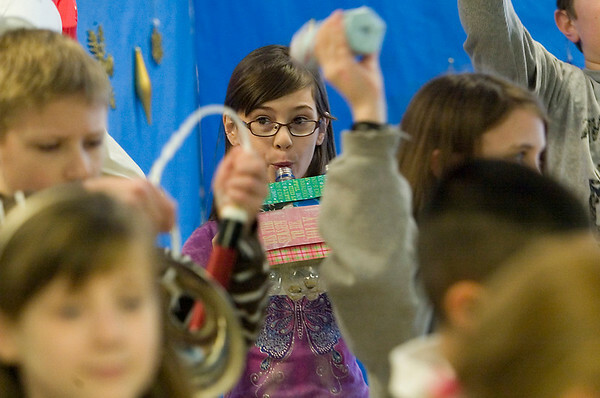 Blair Elementary School third grader Ashlyn Balley, 9, plays an instrument she made from recycled materials as she and other classmates in Margaret Pierson's music class rehearse for their show, "Season of Joy." Students are all using instruments they made using recycled materials. The music lesson will tie in with science class when they begin studying sounds waves. The school show will also feature ornaments made from recycled items by second graders.